September 19, 2013 – Senator Cynthia A. Villar yesterday called on the Department of Foreign Affairs to check on the status of the cases of 87 Overseas Filipino Workers (OFWs) and Overseas Filipinos who are on death row in different countries. “The Philippine government should look into the cases of our Filipino workers who were doomed to die and exhaust all means to spare them the death penalty,” said Villar after being informed by DFA Secretary Albert Del Rosario that 87 Filipinos remain on death row. Del Rosario also told Villar during the hearing on DFA’s proposed P12.1 billion budget that he does not have a breakdown of the gender of Filipinos who were meted the capital punishment. “Since we are getting a lot of remittance from our OFWs, we should give our resources to OFWs. 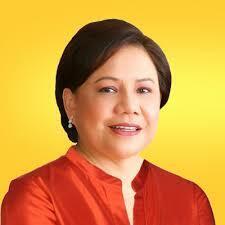 It should be the foremost job of DFA to really take care of OFWs since they are in a pitiful situation,” said Villar. “They are singlehandedly supporting our economy especially during bad times so they should be a priority,” she added. She related encountering in several visits to Bahay Kalinga runaway OFWs and those maltreated by their employers who can’t go home to the country because they do not have money to pay for their plane ticket. “There are many people in Bahay Kalinga who have exit permit but they don’t have the money to pay for plane fare. We gave them the plane fare and they were able to go home. We can give you the list of other OFWs with exit permit in the future,” Villar told Del Rosario. “You could share specifically this information with us,” said Del Rosario as he gave assurance that the DFA is very generous in giving repatriation funds when they see the need for an OFW to return to the Philippines.